Big thanks to the publisher for providing me this ARC in exchange for a honest review. I tried and tried and really tried to like this. If you have me on goodreads you know I considered DNFing it multiple times but in the end i made it through, woop woop (!) I ended up giving this book 2 stars. Between Us and the Moon is about Sarah, nicknamed Bean, who lives in the shadow of her gorgeous older sister, Scarlett. Sarah lives for the stars. She studies them and tracks comet – it’s all pretty cool. However, since her whole life has always revolved around stars and after a little bit of a heartbreak, Sarah is determined to become this cool and older girl – a girl like Scarlett. This leads to the creation of the ‘Scarlett Experiment’ which basically consists off being more like Scarlet – making friends and attracting guys. I strongly hate dishonest characters. Sarah is a very, very dishonest character. She lied to everyone, including herself and got herself into this big mess. How does she solve this big mess? Through more lies but ugh it didn’t solve the big mess. It made the mess even bigger. (You can tell it frustrated me so much) I would of loved the relationship between Sarah and Andrew (he’s the reason i even bothered to finish this book) much more if it wasn’t built on a lie. Sarah was so irresponsible, i found myself wanting to scream WHAT ARE YOU DOING?! There were a lot of face-palm moments. Like a lot. My dislike for this book might be because i had really high expectations that definitely weren’t reached but i don’t know. Not my kind of fun read. I hate that this is my first negative review, i hope i didn’t rant to much. This is literally the most i could limit my ranting haha. You watch the world. I’m not even sure you live in it. Check it out Between Us and the Moon on goodreads! 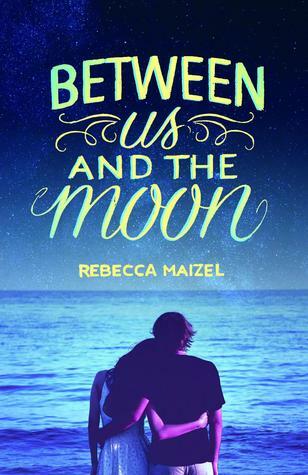 Posted on May 29, 2015 June 6, 2015 by manyreads	This entry was posted in Between Us and the Moon, Book Review. Bookmark the permalink. What a shame! Sounds like after a while the whole lie mess the MC just needs someone to give her a good smack to spark the two brain cells she may have. I HATE characters without common sense- and when it’s little sense for the sake of plot development it doesn’t even seem realistic. Couldn’t have said it better myself Danni, haha!! Well at least you’re honest about your review. This sounds like an interesting book, but I also don’t like dishonest characters. Have you read This Song Will Save Your Life because a character there does a similar thing. But at least the ending was surprising I guess! I definitely like to keep my reviews honest. I’ve never heard of it, i’m not sure i’d like to check it out though haha. Nothing I hate more than a dishonest character.